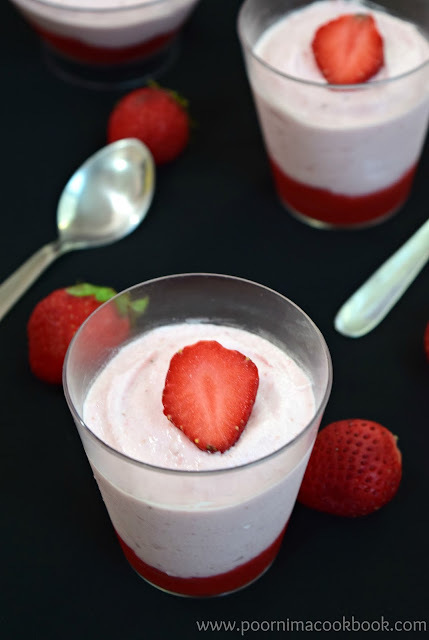 This creamy and light strawberry mousse is simple to make and one of the favorite fruit desserts of my kids. You can store this yummy treat in the fridge and relish for up to 2 to 3 days. In a bowl, sprinkle 2 tsp of un-flavoured gelatin over the ¼ cup of water. Leave for 5 minutes to allow it to become soft . Wash and hull the strawberries. Grind the strawberries and sugar and keep aside. Reserve some for garnishing. Add whipping cream in a bowl and whip it using a electric or hand beater until soft peaks form and gently fold in the strawberry mixture into the whipped cream. At last add dissolved gelatin mixture. Mix it gently. Spoon mousse into serving cups and refrigerate for at least 4 to 5 hours. The bowl, beater and the cream have to chilled before you start to whip. 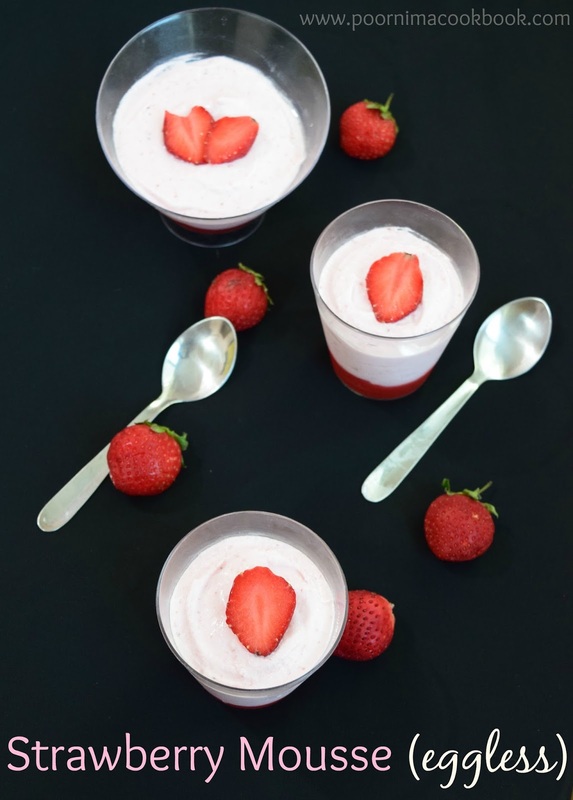 Store this strawberry mousse in fridge until ready to serve. Wow, lovely color!! Mousse's texture is picture perfect and drool worthy!! I have tried this mousse before, but I never got the lovely baby pink color that you have got, I think it all depends on the quality and color of Strawberry!! Thank you pavithra for your lovely comment. Mousse looks so tasty! Kids will love it! Yummyilicious and very light mousse,extremely inviting. 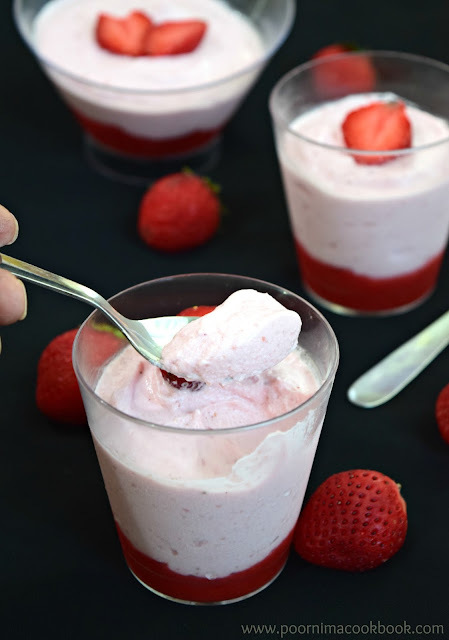 Strawberry mousse looks delicious, Love that you made it eggless. Yum Yum!! Perfect meshing of flavours!! I love anything strawberry! !